Everyone has heard about responsibility. We all know that some people are responsible, others are irresponsible. Each of us at least once in a lifetime has heard such a phrase “You are so irresponsible!” or “You don’t have any sense of responsibility!” and so on. But what does it mean? Not everyone understands the meaning of the words “responsibility” and “responsible / irresponsible”. 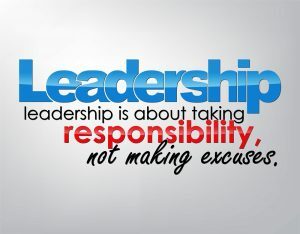 Responsibility is one of the traits of our character which means that a person is able to respond to an action. It is being able to take some form of duty and then face certain consequences of the actions that may have followed. The Oxford dictionary defines responsibility as the state or fact of having a duty to deal with something or of having control over someone. It’s for sure, that people are not born with a sense of responsibility and being responsible does not develop all at once. Responsibility is something every person will have to nurture or develop within themselves and then become a part of one’s personality. Lack of such a trait of character or even its absolute absence was never considered to be a positive feature. When you are responsible it is easier to gain the respect of the people and to take decent place in a society.